I wouldn’t stray from those two designs they are really pleasing to the eye. In fact you really want something that looks great for years to come try to source all the Cherry from the same tree. And pay close attention to the wood grain that was choosen for the door and drawer fronts.They have good harmony. Maybe you can use your sycamore for the inside or back panels. Charles, I think you should stick with the Cherry on something as large as this wardrobe. I don’t really think a contrasting would look that good on such a classic piece. Charles, I think you should stick with the Cherry on something as large as this wardrobe. I don t really think a contrasting would look that good on such a classic piece. 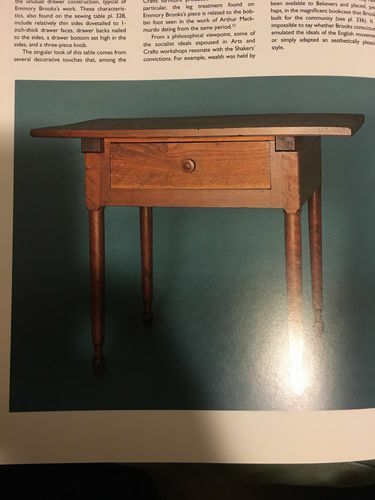 From the perspective of someone with a degree in History who has been researching our local Shaker community, any type of contrasting wood would be in opposition to the Shaker style. Shakers were about simplicity and functionality, not surface adornment or artistic expression. Yes they made some designs that modern eyes consider beautiful, but during the Victorian Age when the Shakers were active their designs were considered too plain to be fashionable. Do you want something in true Shaker style or a modern interpretation of the style? A Cherry and Sycamore piece could be quite attractive – but you could not call it Shaker. Best of luck on your project and be sure to post it when you’re finished. Thanks. I am not doing a Shaker reproduction. I like the Shaker aesthetic. I say no contrast on shaker style pieces. 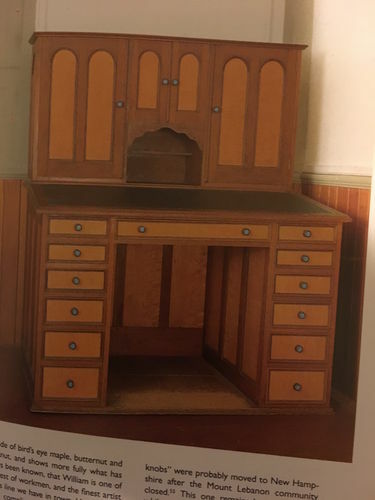 The arts and crafts style has plenty of good examples of contrasting wood, but mostly with inlays. The conclusion from my reading is that there was a lot of variation in Shaker style, but it was kind of essentialized as folks started writing about the style. Some of the stuff is hideous. That being said, I was leaning against the contrast wood—I’m just jonesing to use that sycamore. Talk about overwhelming . . . Thanks, everyone, for talking me down.